Yet another solid offering from Land Rover, the Discovery, or Disco, is a fantastic family car that has a deserved reputation for being a champion off road. Newer models of the Discovery offer a more refined interior and higher specs, while all are known for offering a comfortable ride and an engaging drive. Arrange to test drive one of the used Land Rover Discovery models for sale in Conlig Bangor today by contacting a member of the team at BRG AutoHub. You can also view our full range of quality used vehicles here on the website. Finance is available to UK residents aged 18 years or older, subject to status. Terms & Conditions apply. Indemnities may be required. Other finance offers may be available but cannot be used in conjunction with this offer. We work with a number of carefully selected credit providers who may be able to offer you finance for your purchase, commission may be received. We are only able to offer finance products from these providers. Postal Address: BRG AutoHub, 7-9 Greenway, Green Rd, Conlig Bangor, County Down BT23 7SU. Find contact details here. 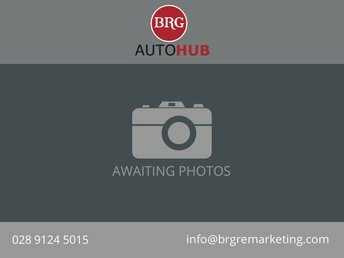 BRG AutoHub is authorised and regulated by the Financial Conduct Authority, FRN: 674012. All finance is subject to status and income. Written Quotation on request. We act as a credit broker not a lender. We work with a number of carefully selected credit providers who may be able to offer you finance for your purchase. We are only able to offer finance products from these providers.